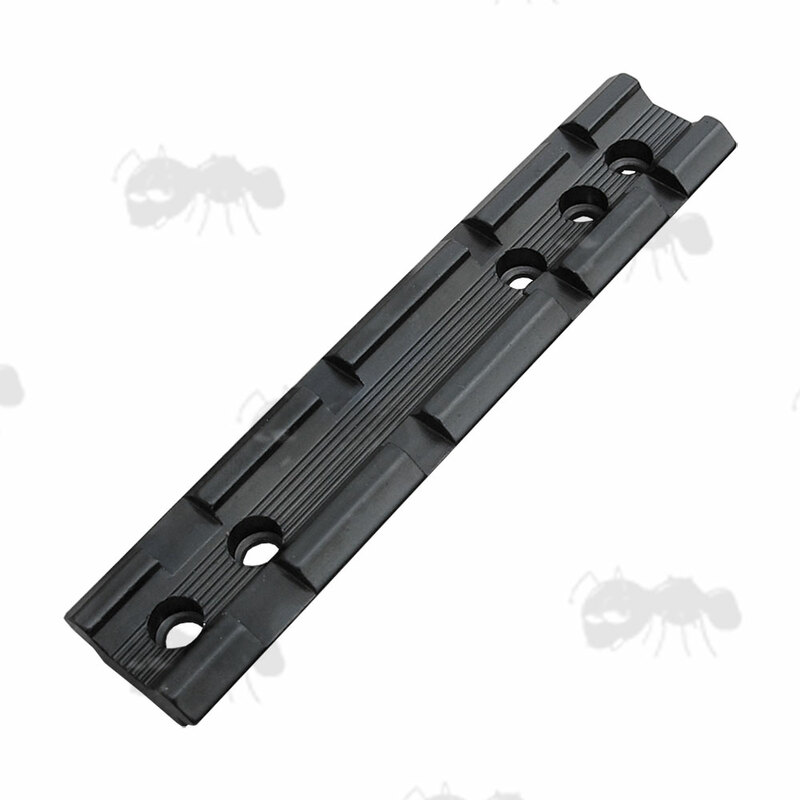 Precision machined high quality construction with matt black anodised finish. 22mm centre to centre holes. 1.12 inches / 29mm long overall. 12.5mm centre to centre holes. 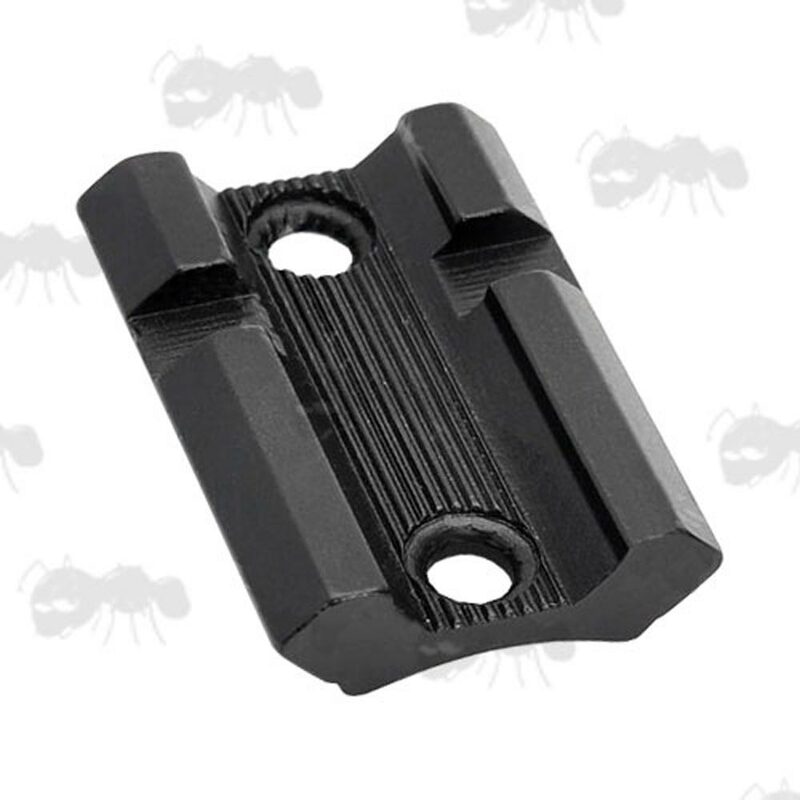 0.75 inches / 20mm long overall. 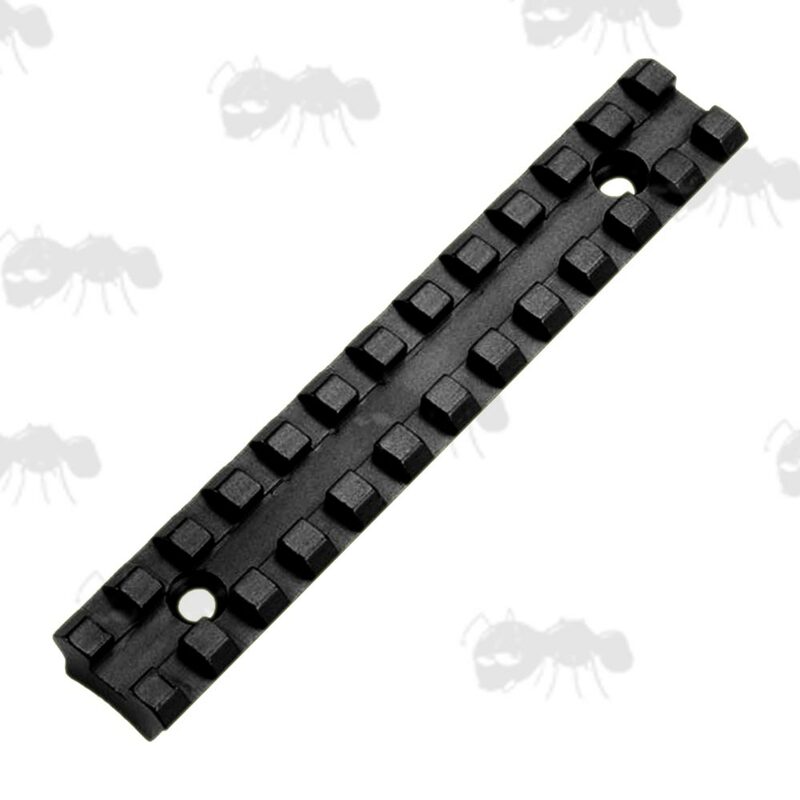 4 inches / 100mm long overall. 5.87 inches / 124mm long overall. 5.5 inches / 140mm long overall. 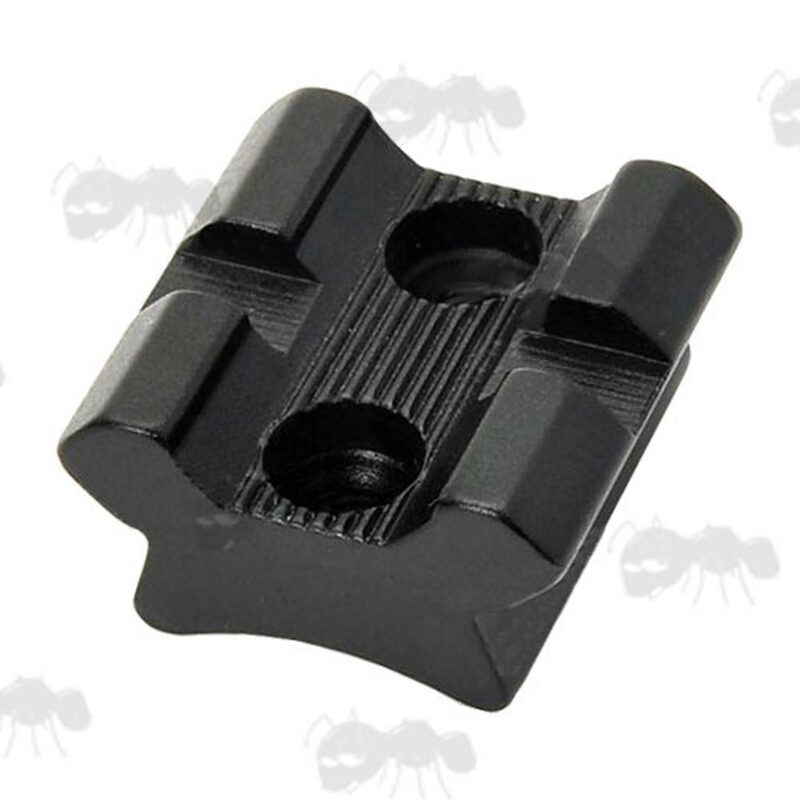 20mm picatinny rail that accepts picatinny or weaver mounts. 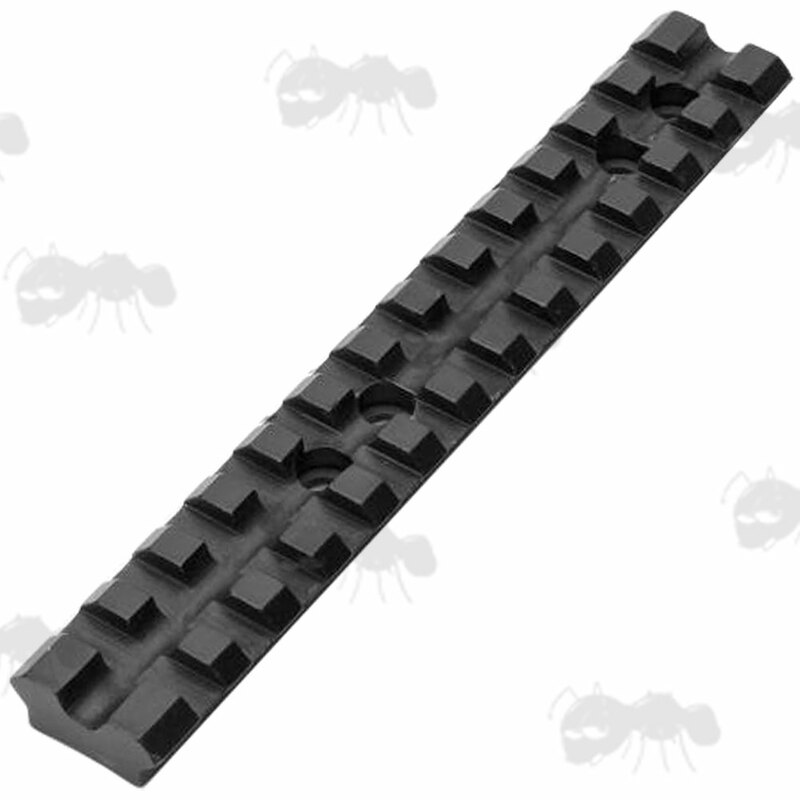 Screw / glue on rail, all but the 140mm long 13 slots rail have a curve for 28mm diameters, the 140mm long 13 slots rail has a curve for 60mm. Weaver / picatinny rail with rounded base to allow fitting on cylinders or barrels. Alternatively can be fixed in place with epoxy resin glue. Two rails can be fitted inline if a longer rail is required and space allows. Please note that the height of the rails has varied from batch to batch in the past, they are correct at the time of writing this but please feel free to double check with us. Also available ~ Flat Bottomed Weaver / Picatinny rails. If you see this message, it means that your browser doesn't support iframes or they are disabled. 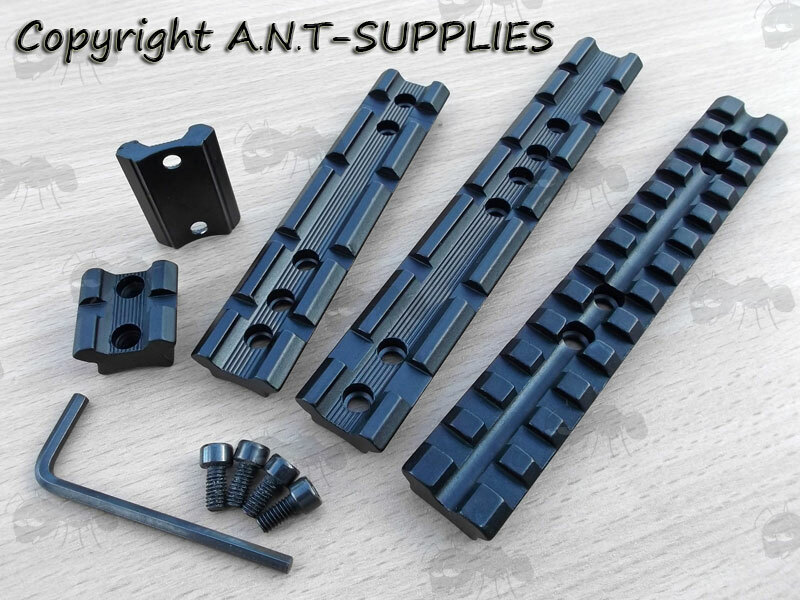 You can access the information shown in this frame here: Rifle Accessories Product Scroller.